II. Who Does This Policy Affect? Henry Ford College (College) is a learning community where freedom of expression includes peaceful protests and orderly demonstrations. The purpose of this policy is to provide guidelines to those who wish to engage in such activities without causing disruption to the operations of the College or affecting the safety of others. 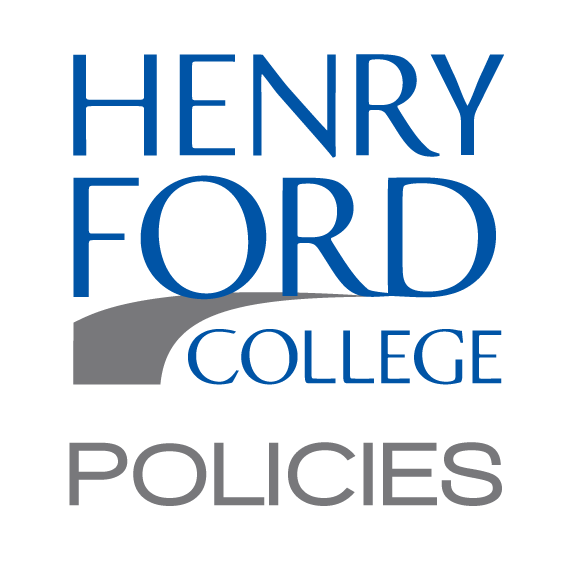 This policy governs use of College property by students, student groups, employees and members of the general public with respect to certain “expressive activities.” Henry Ford College ("College") recognizes the importance of freedom of expression on its campuses and seeks to provide opportunities for the peaceful and orderly expression of views. The College recognizes that not all members of its community hold the same beliefs or views. The College respects and supports the non-violent freedom of expression and exchange of ideas through peaceful protests and orderly demonstrations, The College has an obligation to ensure that activities on its campuses do not interfere with the College's orderly operation of its core educational mission, and that such activities do not endanger the safety of others. Although some ideas may be offensive, unwise, morally questionable, or contrary to social convention, only in limited circumstances will the College intervene in and restrict such expressive activities. For example, the College may restrict expression on its campuses that violate the law, is threatening, harassing, defamatory, or that invades concerns of substantial privacy or confidentiality. The College may reasonably regulate the time, place and manner of such expressions in order to permit the operations of the College to continue and for the safety of the College community. All those who engage in any activity on College grounds are expected to adhere to all applicable College policies and procedures, and comply with federal, state and local laws and ordinances. The right to protest and demonstrate does not mean the right to engage in conduct that is disruptive to the operations of the College or endangers the safety of others. To aid in the peaceful protests or gatherings, the College has approved designated locations on campus available for expressive activities. These locations offer the space and opportunity to gather without obstructing the flow of foot and vehicular traffic for those attending classes or engaging in College activities, and offer a safe location for both participants and others. Students are able to engage in spontaneous gatherings on campus without the need to notify or obtain a permit from Campus Security provided the gathering is a limited number of participants, not to exceed 20 participants. If the number of participants exceeds, or is expected to exceed 20, for the safety of others, Campus Safety must be notified. If the students are organizing a protest or demonstration, the College encourages advance arrangements be made with their student activities advisor and Campus Safety. Advance notification enables the College to help ensure the activity will take place in a constructive and peaceful manner. Advance notice to the College should be at least 48 hours before the event. For protests or demonstrations occurring on public sidewalks and streets adjacent to the College, students should make appropriate arrangements to acquire any local or state required permits. The College reserves the right to impose time, place, and manner restrictions on events or deny, in limited circumstances, use of College facilities and space for non-college events and activities, subject to Constitution rights or assembly and speech/expression. The President of the College, or his/her designee in consultation with Campus Safety shall establish procedures to ensure proper compliance with this Policy. Following are locations on the main campus that lend themselves to peaceful expressive activities and gatherings are approved for use by students, employees, staff, faculty, persons, groups, or organizations for purposes of "expressive activities". 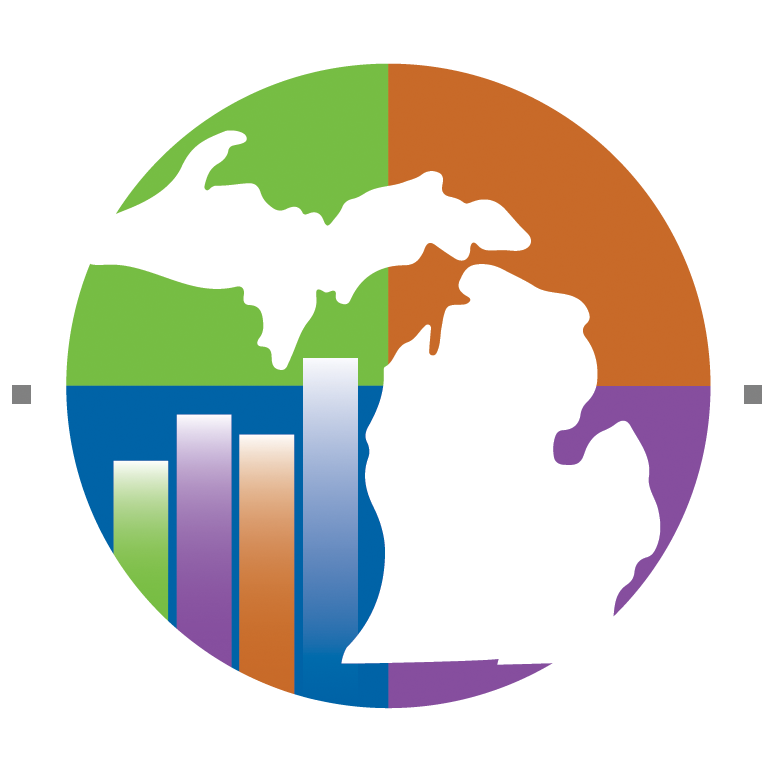 Peaceful protests and demonstrations may take place on other HFC campuses or facilities, such as the Welcome Center and M-TEC, in accordance with the guidelines set forth in this policy. These locations may be modified by the President or his/her designee as circumstances warrant. The Quadrangle (Quad) is framed by the Reuther Liberal Arts Building on the East, the MacKenzie Fine Arts Center on the West, the Health Careers Education Center/Science Building on the South, and the Library and Facilities Services building on the North. The Quad serves as the primary hub of movement into and around the campus and offers a venue for assembly and debate that may be used for expressive activities. Subject to the regulations set forth below, the Quad may be used for "expressive activities" by persons, groups, or organizations. In order to ensure the general safety of the College members and to enable the normal operations of the College, the Quad does not include those walkways between buildings that lead to the Quad. Those walkways are particularly prone to congestion because of their narrowness and proximity to parking areas. The walkways are not safe and practical locations for "expressive activities" because congestion would impede the flow of pedestrian traffic. The Campus grounds include two entrances to the College; the North Drive and the South Drive. The grassy areas on either side of the entrances are also venues conducive to expressive activities. For the safety of all College members, expressive activities should take place only on the grassy areas on either side of the entrances and not in the lanes of traffic. The grassy areas around the Andrew A. Mazzara Administrative Services and Conference Center may be used for expressive activities Sidewalks, parking lots and entrances to the building may not be blocked. The grassy areas around the College's East Campus (M-TEC) located at 3601 Schaefer Road, Dearborn, MI may be used for expressive activities so long as the sidewalks, parking lots and entrances to the Campus are not be blocked. Outside groups, organizations, or students and faculty who anticipate an attendance of more than 20 participants may use designated areas for "expressive activities," the primary purpose of which is not the sale of a product or service. In order to assist the College to ensure the event takes place safely, and to further the effectiveness of the event, the College requests advance scheduling of the event of at least 48 hours. The Campus Safety Office, and the Buildings and Grounds Department, will review the needs of the event, the anticipated attendance, and other relevant factors to assist in determining the time, place and manner of the event. If appropriate, a Permit will be issued by Campus Safety for the activity. Permits are necessary in order to enable the College to plan for the event and for the safety of others. Activities must take place within the normal business hours of the College, the College buildings hours, or at the times designated on the Permit. Groups requiring a permit must identify a person in charge (PIC) of the activity and must provide a current address and phone number where the PIC can be reached. Additional identification, such as driver's license, may be requested by the College. The PIC must be present during the group or organization's activity College facilities are available on a non-discriminatory basis, but preference will be given to College student events, or College events and activities before the space is made available for use by non- College community members. The use of the facilities is governed by the applicable rules, regulations, policies and procedures related to the requested facility use, including the hours the building is open for use. Obstructing or interfering with the movement of passers-by. Communicating threats to passers-by orally, in writing, or by physical gesture. Using sound amplification devices or noise-making devices such as bull horns, whistles, horns, or bells. Obstructing ingress and egress to and from any building or campus location. Affixing signage or other materials to buildings or other College property or to motor vehicles located in parking lots. Engaging in any other behavior or activity that is in violation of the College's student code of conduct or local, state, or federal laws or ordinances. If use of placards, banners and signs are deemed to be dangerous, or impede the operations of the College, the individuals carrying the placards, banners and signs will be asked to move to a different location, or remove the materials. In addition to the regulations set forth above, including obtaining a Permit, any person, group, or organization who uses the designated areas for the purpose of selling a product or service must notify the College of the specific nature of their business and product. The College reserves the right to prohibit the selling of products or services that do not serve the educational needs of the HFC campus community or that directly compete with products or services offered by HFC. Commercial users must supply copies of valid and current commercial or business licenses when applying for a facility use permit. HFC may also request appropriate liability insurance. Certain rooms and auditoria on the HFC campus, including the Student Center Building, the Adray Auditorium, and room L-14 may also serve as locations for "expressive activity." These are limited resources, however, and are therefore reserved first for activities that serve the core educational mission of the College Faculty, staff and students have priority over use of these facilities unless the President or his/her designee permits otherwise. These facilities require the issuance of a Permit by the Office of Campus Safety. Events or expressive activities may be denied, or terminated by the College, if they are disruptive to the educational mission and operation of the College, or if the safety of others is endangered by the event or activity. Disruptive conduct by a College community member may result in disciplinary action, or other legal action. Unless otherwise authorized by Permit or by the President of the College, the College reserves the remaining areas of the campus for their intended and core educational purposes, i.e., the education of students and the administration of the College. Accordingly, these areas are not open to use for "expressive activities" as defined above. In the event that the use of the College property results in actual increased costs to the College (such as set-up, additional safety measures, maintenance, repair or cleanup), those additional actual costs will seek to recover those actual costs from the person, group, and/or organization responsible. The President or his/her designee may agree to waive the fee, or a portion of the fee, for certain non-profit community groups if it is determined by the President that the activity will be of benefit to the College. a. Expressive Activities: for purposes of this policy, “expressive activities” is defined as protesting, picketing, leafleting, or soliciting, campaigning, circulation of petitions, and/or any public demonstration on College grounds. b. President: means the President of Henry Ford College or his/her designee. Disruptive conduct may also be, but is not limited to, the use or threatened use of force against any College community member, or his or her family, that substantially and directly bears upon the member’s functions or responsibilities at the College.